Today, we're excited to share with you Surf Trash's music video for their single 'Over my shoulder'. 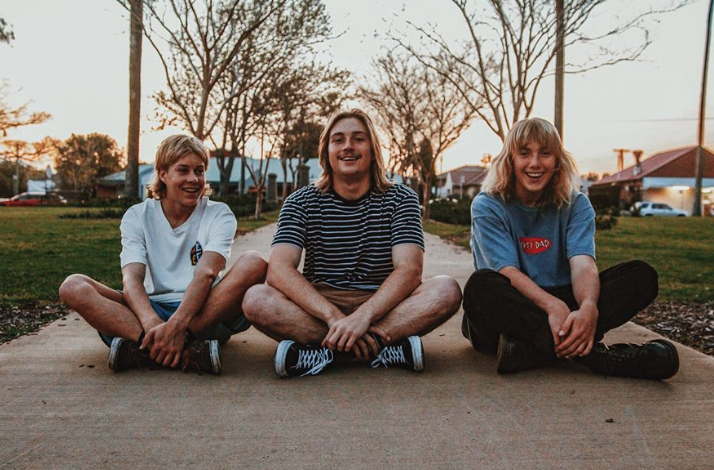 The three-piece from Newcastle released the single a few weeks ago and have been wowing listeners with their refreshing brand of surf-rock. The music clip for 'Over my shoulder' required some nifty DIY work from the band — including planning, filming it and directing it themselves (they also had a handy helping hand from Andrew Scott's girlfriend to help film it). Overall, the clip captures the essence of who they are as a band — such as their fun personalities, good vibes and love for creating music together. You can watch the music video for 'Over my shoulder' below. Surf Trash have a couple of upcoming sets where you can catch them live (including this Sunday 30th September and in October). Click here to find out where.